Before Robot Unicorn Attack launched on iOS and Android, I admit I wasn’t much of a mobile gamer. I was a late smartphone adopter and I didn’t get one until the Motorola Droid 2. But when I finally got my hands on one, you couldn’t keep me off the thing. I played a whole lot of Robot Unicorn Attack. And now I’m hoping to play a whole lot of Robot Unicorn Attack 3, as it seems to have soft-launched in New Zealand, getting my hopes all the way up. It’s coming, and it’s gorgeous. 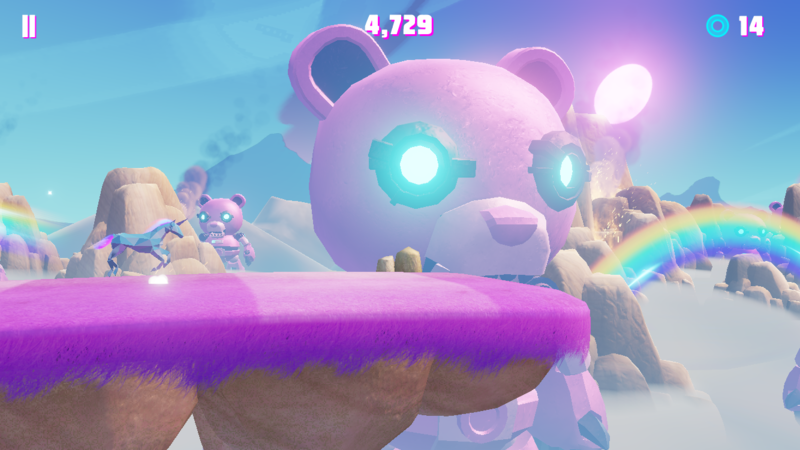 Robot Unicorn Attack 3 has ditched its mostly static backgrounds for full 3D rendering in 60fps, though it’s basically the same game you knew and loved all these years. There’s a new selection of unicorns to unlock, all of which can be leveled up as you play through the game. You even get the classic “Always” from Erasure for free without having to pay extra this time around, which is great news for everyone involved. Hopefully, we get some sort of information as when we can expect to see the game in the future, because excellence like this sure can’t wait. It’s going to be a pointed good time for all. We’ll keep you posted.